In 2010 I wrote an article How to Sell Your Geckos in order to provide suggestions about venues for selling as well as recommendations for how sellers should approach the whole concept of selling an animal to someone as a pet. The contents of the article are still relevant, but the information needs to be updated due to two relatively recent developments: the increase in gecko breeders and the explosion of social media options. This is a perennial issue. 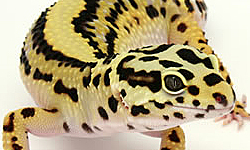 The 2010 article cites the increase in gecko breeders as a factor making it more difficult to sell geckos. Gecko Time has been circling around this issue for the past few years with its articles Selling Popular Gecko Species and its Gecko Time Wants to Know series about leopard geckos and crested geckos. The increase in gecko breeders is largely due to the relative ease of breeding geckos and the availability of information through the internet and social media. 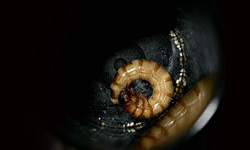 Statistically, while this can increase the number of responsible breeders, it also increases the number of people breeding inferior geckos, often of unknown genetics. The only real solution to this situation, as mentioned in the previous article, is to be prepared to continually educate potential customers about what to look for in a new gecko in terms of size and health and to explain some of the disadvantages of a $10 or week-old gecko. It’s also good to realize that other breeders are not only your competition but also your potential customers and allies. 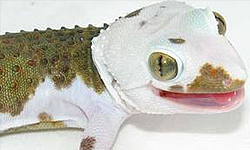 In 2010, most “remote” gecko sales were accomplished through classified listings (usually connected to a reptile forum) and breeders’ internet webpages. The social media options which have become available have led to a huge change in how geckos are sold. I can’t speak for Pinterest, Instagram or Snapchat as platforms for selling geckos since I don’t use them (feel free to comment if you do have experience with these). Most sellers, however, seem to be moving their sales from websites to Facebook. The combination of personal Facebook pages, Facebook comments that can be seen by everyone and the message feature, allowing instant messages to flow between seller and customer has made the process of finding out about a gecko purchase and closing the deal much easier and speedier. That said, in my experience, there are several caveats. I remain frustrated about the visually distracting (at least to someone in my generation) Facebook page layout and difficulty in actually locating the reptiles that are for sale. For most of the Facebook pages selling geckos I checked out, as far as I can tell, the geckos for sale are located by going to the “photos” section, clicking on albums and looking for an album labelled “available geckos”. If there’s any easier way to find these geckos for sale, no one seems to be using it. If you decide to sell your geckos on Facebook, you may want to consider a message on your “home”page directing customers to the pictures of your available geckos! Another feature of social media sales,which may also be a sign of the times and certainly exists in the email platform as well, is the acceptability of simply failing to reply as a way of saying “not interested”. It seems fairly common to have frequent and furious messaging back and forth about a particular gecko of interest until it becomes time to pay up and receive the gecko. All of a sudden communication ceases! As a seller, you have to be prepared to grit your teeth and to keep virtually smiling. As buyers, you should know that a simple “sorry, no longer interested” is a much nicer way to conclude a transaction that isn’t going to happen. The more traditional sales methods mentioned in the 2010 article are still valid, they just “morph” into different forms. One relative newcomer to the scene is MorphMarket.com, a classified listing currently available for leopard and crested geckos that was profiled in a recent Gecko Time interview article. The ads are phenomenally easy to create. As a vendor who has listed with them for the first time this season, I can say that I sold more leopard geckos through MorphMarket than I have in all my 12 breeding seasons on all the classifieds combined that I have ever used. I have found during the past 12 years that geckos take longer to sell, the seller needs to put in more work due to the amount of messaging that precedes a sale (or not!) and that prices need to be reasonable. Despite this, geckos are selling and I hope to have many more years as a successful producer and seller of these lovely creatures. I’ve actually come to love instagram for this MORE than Facebook! It’s a perfect platform for this because it’s a much more visual platform than the others. Facebook is still a great and easy to place to do all of this but my following on instagram is waayyy bigger than my facebook page. We’ve come a long long way from the kingsnake classifieds.